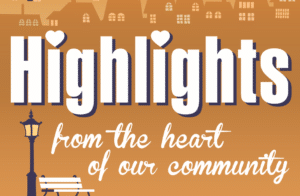 Highlights: From the Heart of Our Community, is a 30 minute weekly TV show featuring organizations, events, grass-roots efforts and people who move our state and community forward in a positive way. The show is a collaboration with Kanawha County Schools, Suddenlink Communications and Jim Strawn & Company. The show airs daily at 8:30 a.m. and 8:30 p.m. on Suddenlink’s channel 17. The show airing October 1, 2018 – October 8, 2018 ‘highlights’ the 12th Annual Southern Obesity Summit and the March of Dimes Signature Chefs Auction. We interviewed Jessica G. Wright, RN, MPH, CHES, Director, Division of Health Promotion & Chronic Disease of WV Bureau for Public Health and Cathy McAlister, Corporate Communications Manager, Highmark WV. Where we Live, Work, Learn, Eat, Play and Pray. This Summit will bring together leadership from across the south to share, learn and develop strategies for positive change around obesity prevention. 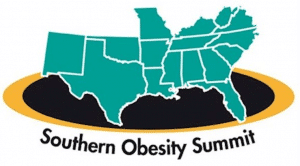 Participants from 16 southern states will convene to publicize effective and emerging obesity prevention practices in the region and energize grassroots efforts in each state. Attendees will include policymakers, leaders from community-based organizations, federal and state government officials, health care providers, non-profits, youth and members from national and state associations. SOS is a great opportunity for regional partnering, and provides each state access to technical assistance through learning collaboratives. The three-day conference offers networking opportunities, fast paced breakout sessions, workgroup meetings, and plenary sessions that will focus on cross-state collaboration, best practices and significant leadership in obesity prevention. Jessica talked about a plan of action to ‘Take Back Our Health’ and what we need to do to combat the State of Obesity Report recently released that had WV ranked number 1 at 38.1% being obese. We discussed hypertension, diabetes, and other health-related issues as a result of obesity. Cathy talked about why the Highmark Foundation, the summit’s presenting sponosor, felt compelled to be a part of this event. She explained that the Highmark Foundation plays an important role in improving the health outcomes of the residents and communities through programs in which it provides funding support. Programs focusing on chronic disease, family health and service delivery systems provide access to care and establish broad and strong community impact. Their funding support also demonstrates new and sustainable ways to solve health problems and illustrates the effectiveness of early intervention and preventive health programs. Cathy says they feel the SOS will do just that – bring change; bring thought leaders together. They are excited to hear what has worked in other parts of the country, and how we can implement those successful programs – right here in WV. Other major sponsors for the summit include: WV Bureau for Public Health, KEYS 4 HealthyKids, Claude Worthington Foundation and the Texas Health Institute. Still time to get registered for this. We also talked with Courtney Lorhi, committee chair of the March of Dimes Signature Chefs Auction. The annual Chefs Auction is scheduled for Monday, October 15, 2018 at Marriott beginning at 6:00 p.m. Experience the culinary excellence of West Virginia by sampling tastings from over 10 local Chefs, while perusing dazzling auction packages – in support of giving ALL babies a healthy start. Every year more than 15 million babies are born prematurely; a million will die before their first birthday as a result. 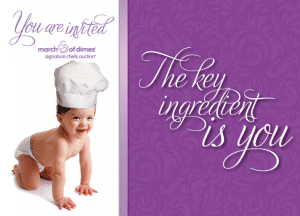 With your gift at Signature Chefs to the March of Dimes, you can help to fund the research, education, and support to ensure more babies celebrate their birthday. Contact Joanna McNurlin with the March of Dimes if you have questions or want further information. 606-939-6338 or jmcnurlin@marchofdimes.org. If you would like to learn more about the Highlights TV Show, contact Host and Executive Producer Jim Strawn at 304-541-4756.